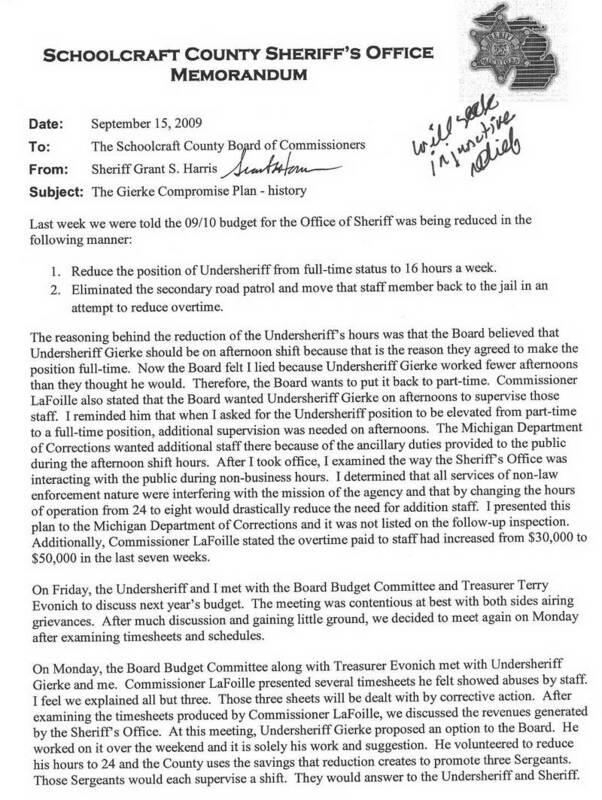 For those that wish to hear, first hand, a 1 hour, 9MB, mp3 shirt-pocket recording of the "Us vs Them" discourse of the 09/15/09 meeting of the Schoolcraft County Board of Commissioners that prompted this web page. 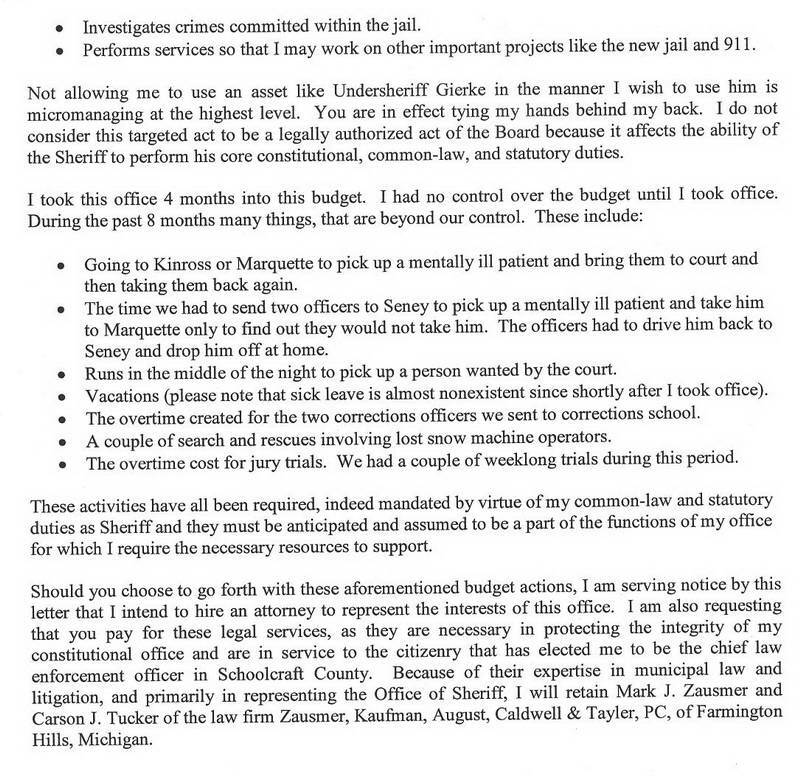 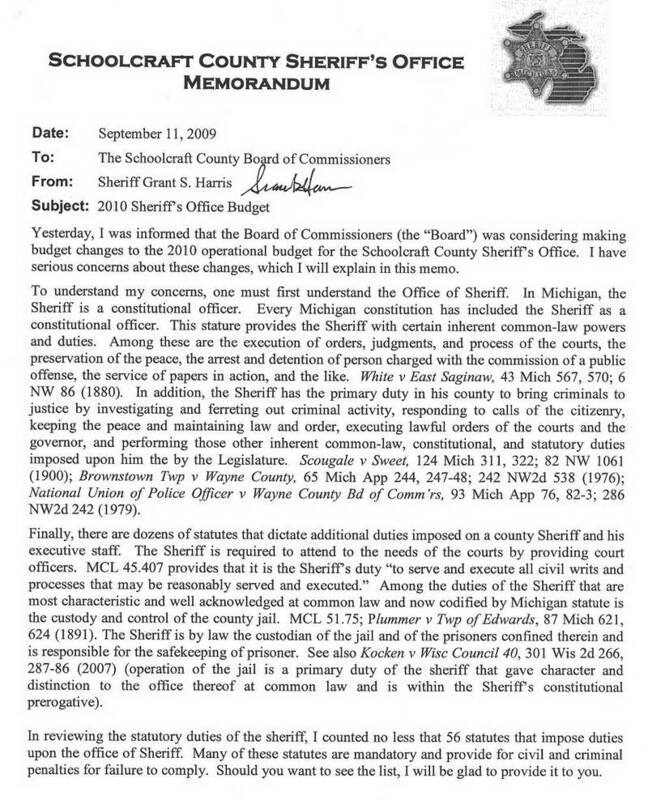 From my perspective, this PDF file of a document from Zausmer, Kaufman, August, Caldwell and Tayler, P.C., retained by and representing Sheriff Harris and his department, was designed to scare the Schoolcraft County Board of Commissioners into bending over in abject terror, regarding some implied wrong-doing I am completely ignorant of. 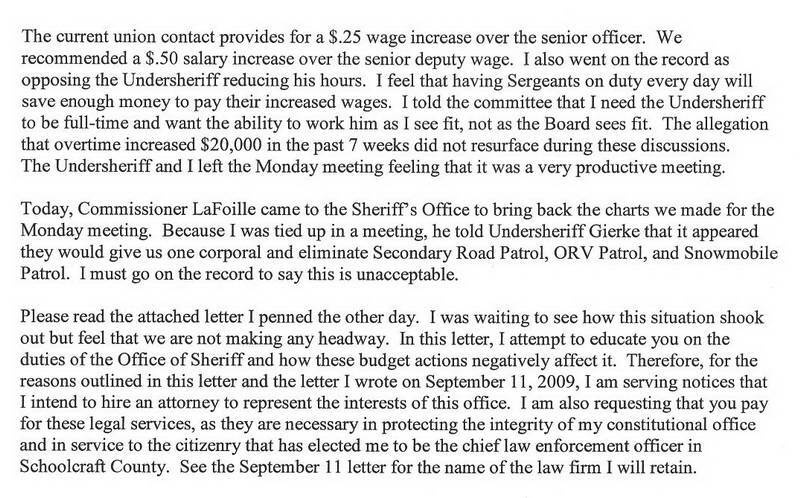 If I eventually wind up paying for this vague rambling dissertation that prompts me to infer that which I have no other reason to, I will be very unhappy. 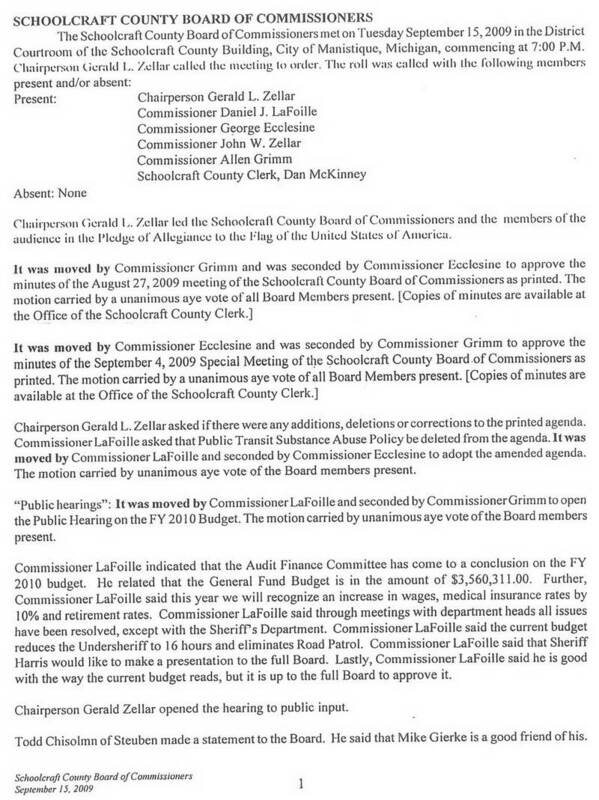 Concluding comment for today: "Confidential" documents concerning public business cease to be confidential when they are presented and considered at a public meeting in a public manner. 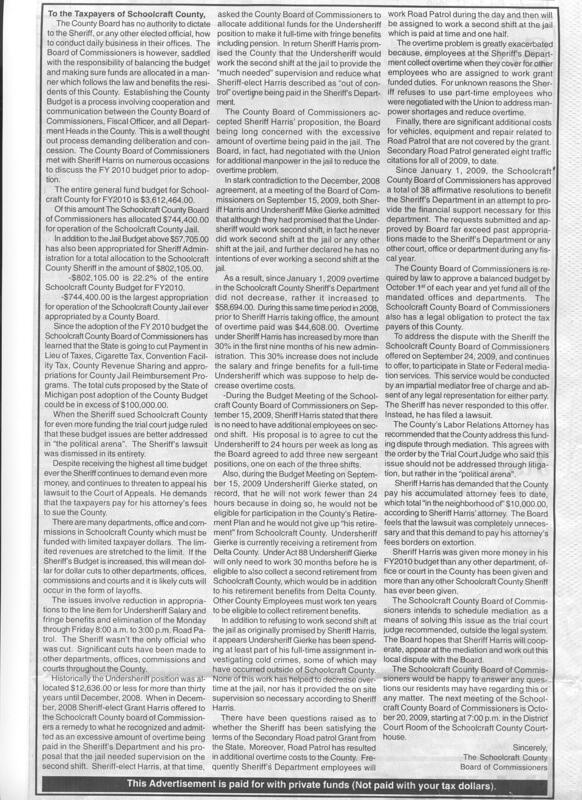 As for "confidental" documents concerning public business, in general, beyond the obvious lack of responsibility that "confidential" public business engenders, that is rife in this community, I perceive most confidential public business as an oxymoron that is anethema to a responsible open society and government. 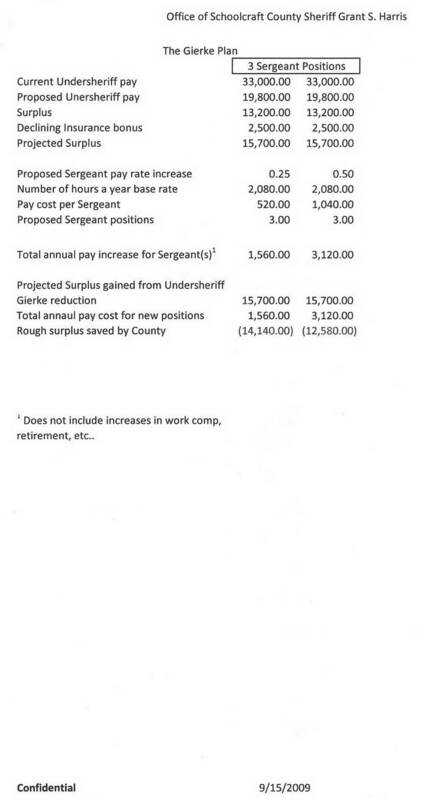 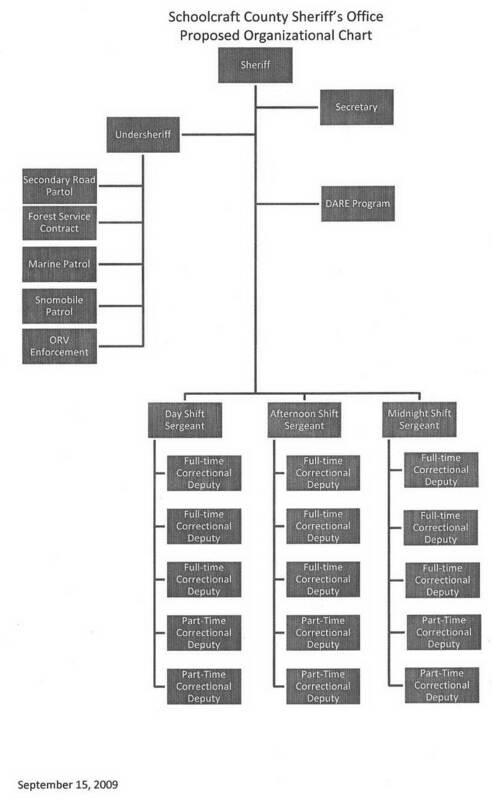 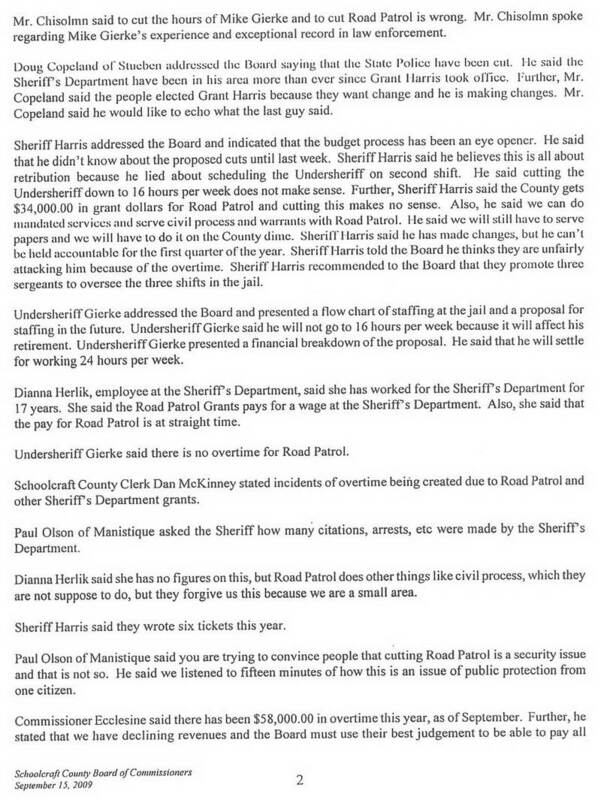 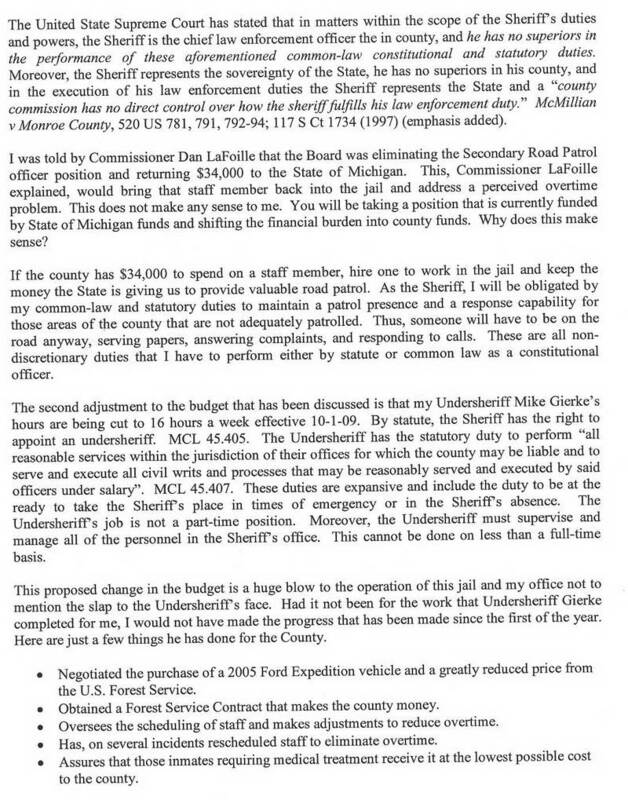 The Schoolcraft County Board of Commissioners had published, in the October 15, 2009, edition of the Pioneer Tribune newspaper, the linked informative statement concerning the Board's position in the ongoing financial dispute with the Schoolcraft County Sheriff Department. 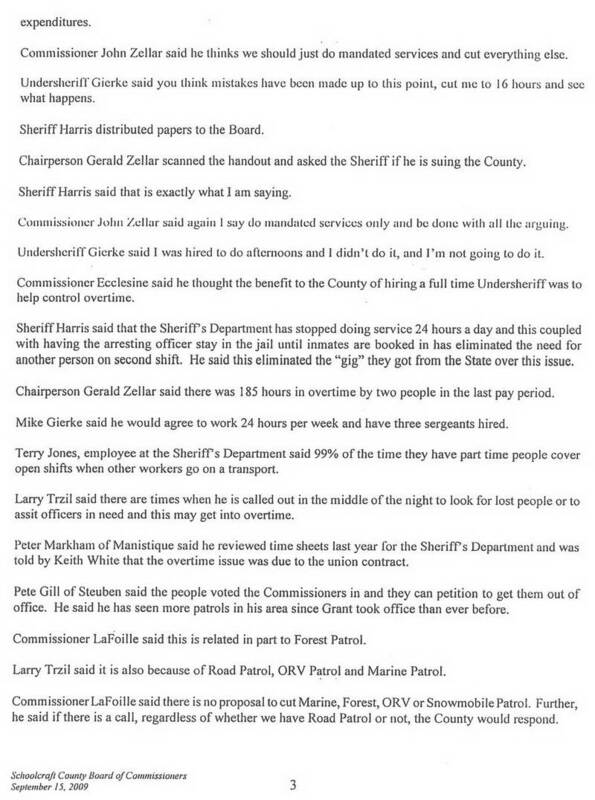 This recording is all the business at the 10/20/09 county board meeting regarding sheriff department finance issues.